Italian new-car sales increased 13 percent in December, giving the market its second consecutive year of double-digit growth in 2016. Registrations increased to 124,438 last month despite one less selling day compared with last year, Italy's transport ministry said on Monday. The December gain was the 31st consecutive month of growth for the Italian market and the best result for December since 2010. Sales to private buyers grew by 8.3 percent, representing 64 percent of the market. Rental car sales gained 14 percent and business sales jumped 40 percent pushed by tax breaks ending in December. All major groups except Nissan made sales gains. Fiat Chrysler Automobiles' sales grew by 15 percent. Among FCA brands, Fiat sales rose 13 percent, Jeep's volume increased by 22 percent and Alfa Romeo sales were up 41 percent. Volkswagen Group outpaced the market growth with a 31 percent increase after core VW brand sales grew 23 percent, Seat's volume gained 29 percent and Skoda sales jumped 65 percent. PSA Group sales were up 5 percent. Peugeot's volume grew by 1.4 percent, Citroen sales gained 10 percent and DS registrations jumped 36 percent. Renault's Dacia brand sales fell 4 percent, while Renault brand sales rose by 4 percent. Ford sales were up 10 percent and Opel's volume increased by 19 percent. Losers for the month included Mitsubishi, whose volume plunged 34 percent, Mini whose registrations fell 33 percent and Nissan whose sales fell 9 percent. Download PDF for Italy sales for December and 2016. Among premium brands, Audi sales jumped 45 percent and Mercedes-Benz's volume gained 38 percent. BMW brand trailed its German rivals with a 3 percent increase. 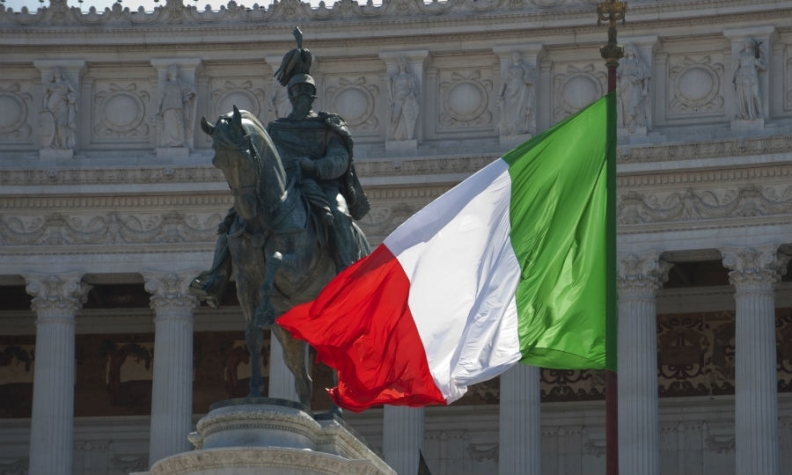 Italy's full-year registrations were up 16 percent to 1.82 million. Rental car sales increased 17 percent and business registrations rose by 28 percent. Private sales trailed with a 13 percent growth, accounting for less than 62 percent of the market, the lowest share ever. The Italian market has been in recovery since 2014 when car sales rose 4.2 percent. Before that gain six years of declines had almost halved the size of the market to 1.3 million in 2013 from 2.5 million in 2007.